Allan Ellis was born in Altoona, Pennsylvania and grew up there during the sixties. His Dad, Lloyd, took him fishing for the first time at age six. Lloyd was a sergeant on with the Pennsylvania Railroad Police and later became the Superintendent of the Valley View Home – a nursing facility for seniors. They fished on the Juniata River, Spruce Creek and anywhere else that looked fishy. Smallmouth bass, catfish, pickerel and trout were pursued with equal enthusiasm. Lloyd kept a boat on Lake Glendale at Prince Gallitzin State Park for many years. Annual family vacations took the Ellises to southern New Jersey where Allan learned to fish for sea trout and winter flounder as well as freshwater fish like bass, crappies and even carp. Several trips to Quebec found father and son catching walleyes and northern pike. Allan’s interest in hunting grew in the surroundings of Valley View where he chased squirrels and rabbits. 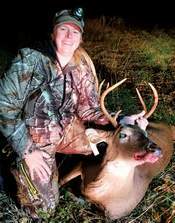 In the mountains and on his Uncle’s farm in Huntingdon County, his passion for deer hunting had its early roots. When Allan was fourteen, the family moved to rural Somerset County. The farming community provided a steady supply of rabbits, squirrels and a few ringnecks, too. 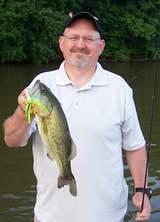 The local Berlin Sportsman’s Association offered a bass fishing lake and many hours were spent there honing his bass fishing skills on that lake. Lloyd facilitated his son’s passion for hunting and equipped them both for the task. Every year, they walked the brushy hedgerows in pursuit of rabbits. They visited the farm for turkeys and they trudged through the snow and pushed through the thick laurel in hopes of harvesting their deer. 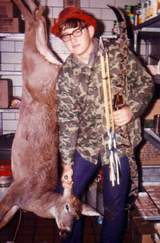 Allan bagged his first deer, a button buck (see photo) with his Browning Cobra recurve bow when he was sixteen. His picture even appeared in the local paper, the Somerset Daily American. After he graduated from Berlin-Brothersvalley High School, instead of going to college, Allan chose to get married to his first wife. He took a job as a Bank Teller at Gallatin National Bank in Meyersdale. From that he went on to County Trust Company in Somerset where he worked in the Collections Department. Following that, he was Credit Manager of Somerset Welding and Steel. He began selling wholesale live bait which led to an advertising sales position with Fish Finder Magazine in 1981. His position with Fish Finder led to a couple of trophy largemouth trips to Florida where he captured a pair of 8-pound-plus largemouth bass on the St. John’s River. 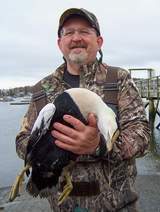 In 1983, after his first marriage ended, Allan moved to Maryland and established the Maryland-Delaware Fish Finder Magazine. Maryland’s abundant fish and game was fascinating. Sika deer, waterfowl and both the fresh and saltwater opportunities were right up his alley. In 1985 Allan met Kathy Smith and her two children in Pennsylvania and they were married in May of 1988. They all moved to Maryland, buying the house where Allan’s aunt and uncle had lived since 1949. Allan’s 10-year career with Fish Finder opened the door to the ‘Maryland Sportsman’ radio show on WCBM in late 1988. That radio show ran continuously until July of 2002. He and Kathy started a business which included being the promoters of Buck Fever! The Hunting Show, a consumer show featuring seminars by nationally known personalities, vendor booths and various calling and shooting contests. 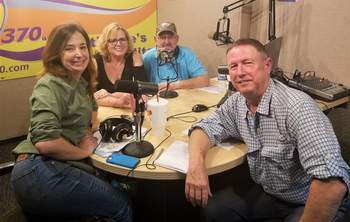 Kathy and Allan also established Maryland’s first statewide venison donation program called ‘Hunters’ Harvestshare’. In 1991, Allan ended his relationship with Fish Finder and originated Fishing & Hunting Journal; a free monthly news magazine, still in existence today. He sold Fishing & Hunting Journal to the current publisher in 1998. In 1993, Allan began publishing the Maryland Deer Hunting Guide with longtime Evening Sun Outdoors Editor, Bill Burton, as Editor. 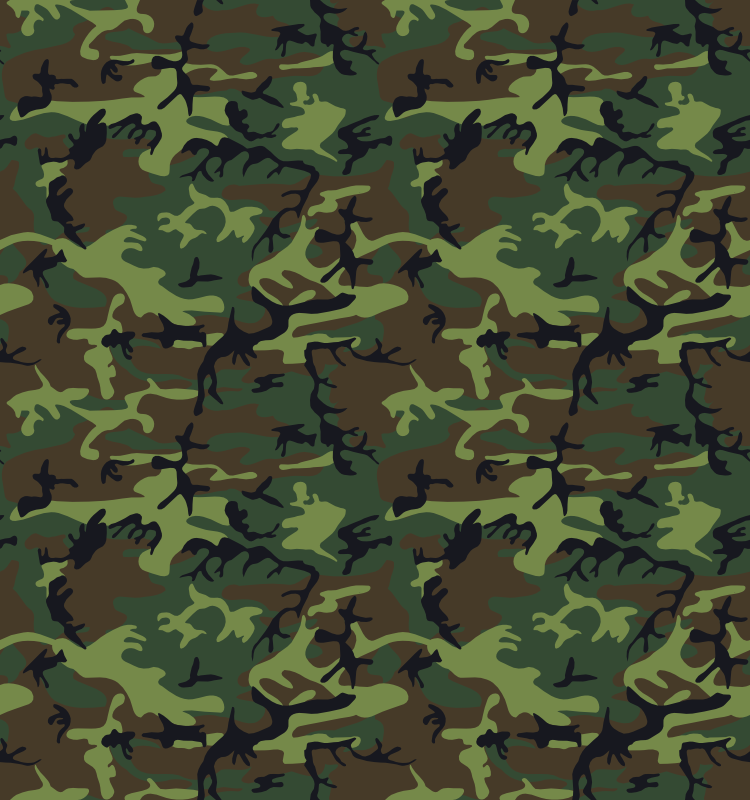 In 2005, the name was changed to the Maryland Deer and Waterfowl Guide and goose and duck hunting articles were added. After the sale of Fishing & Hunting Journal, Allan and Kathy downsized the business and Allan tried his hand at motorcycle and ATV sales. He then managed a sporting goods store in east Baltimore for nearly two years. In February of 2003, Allan was hired as Promotions Manager of Bass Pro Shops Outdoor World at Arundel Mills. He worked with the region’s conservation organization in their fund raising efforts, planned events and handled the media inquiries. Allan left Bass Pro shops in late 2007 to become the Director of Communications with the Congressional Sportsmen's Foundation in Washington, DC. He left that position in August of 2008. 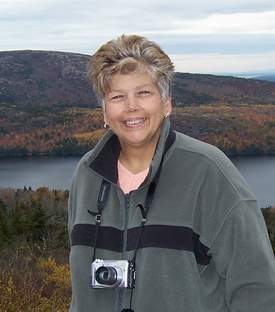 Allan’s wife of 22 years, Kathy, passed away in 2010 after a long battle with kidney disease and its complications. Allan re-entered the publishing business in 2011. 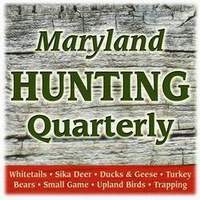 With longtime friend Donna Fisher as Creative Director, they created the Maryland Hunting Quarterly magazine and in 2012 the annual Maryland Loves Crabs magazine. Both publications are successful and well-received by the outdoors community. 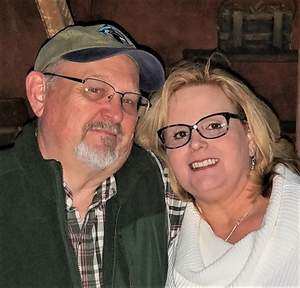 Allan began mentoring Donna’s 30-something daughter, Laura, in hunting and she has taken several deer with firearms and muzzleloader but prefers her compound bow. Maryland Hunting Coalition: On National Hunting and Fishing Day, September 27, 2014, the Maryland Hunting Coalition was launched to serve as Maryland hunters’ advocacy group in the halls of Annapolis. 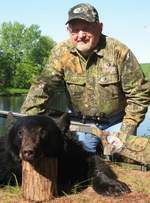 Longtime ‘friend of sportsmen’ Bill Miles was contracted as their Lobbyist. MHC was founded by Allan Ellis who serves as the volunteer Executive Director. Much has been accomplished since then. See the MHC website, www.mdhuntingcoalition.org for the details. 2015 was a time of great sadness and great joy. The untimely passing of Allan’s step-daughter, Heather, due to brain cancer on July 1, 2015 was difficult. 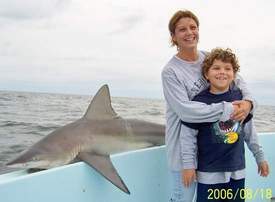 Allan continues to hunt with her son, his grandson, Jacob. Jacob has taken some very nice bucks and is a crack-shot on geese. Unfortunately, Donna Fisher also passed away in 2015. The future of the Quarterly and Maryland Love Crabs magazine was up in the air. The good news is that a new Art Director, Jennifer Kniceley, seamlessly moved into the role and the magazines continue to grow. NOW FOR THE GOOD NEWS! Allan met Robynn Franks (daughter of former DNR Secretary Ron Franks – under Gov. Ehrlich) shortly after Heather passed away in 2015. Their relationship grew over two-and-a-half years and on December 16, 2017, Robynn and Allan were married on a snowy day at Deep Creek Lake! Allan has since moved from Rockdale in Baltimore County to Easton on Maryland’s Eastern Shore. 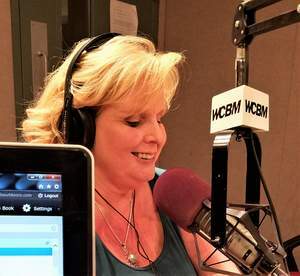 Robynn loves fishing (hunting, not so much) and enjoys joining Allan on the air to interact with callers from her unique vantage point. A while back, a caller suggested a slogan that seems to strike a chord with the listeners – “Get Out and Stay Out!” Allan added “…and Stay Safe” to his now familiar sign-off phrase.